When writing a executive CV it is important that you give details and examples of your managerial achievements. Keep the recipient of your CV focused by highlighting executive successes in areas like project management, sales, identifying new markets and business opportunities etc. 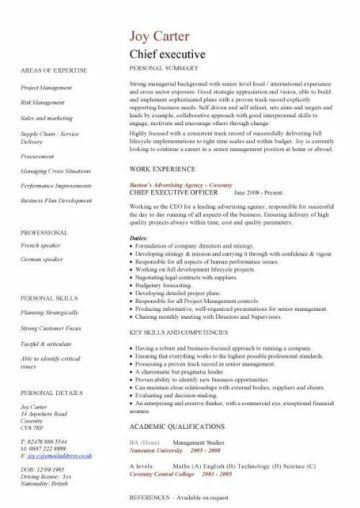 You can download and use our professionally developed executive CV on this page as a template to stress that you are results orientated, have excellent communications and presentation skills. As well as mentioning that you have the ability to change and adapt to different working environments. All you need to do is simply copy or type your personal details into the ready made text boxes, within minutes you will have an eye catching, interview winning and professional resume. Click on the images below to see the full PDF version. 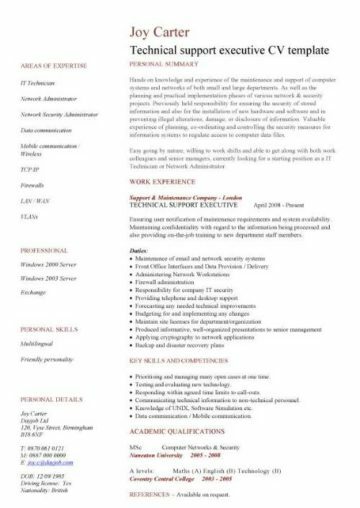 If you would like the fully editable MS Word versions of the CV templates below then you can purchase all of them for ONLY £5 (see below). 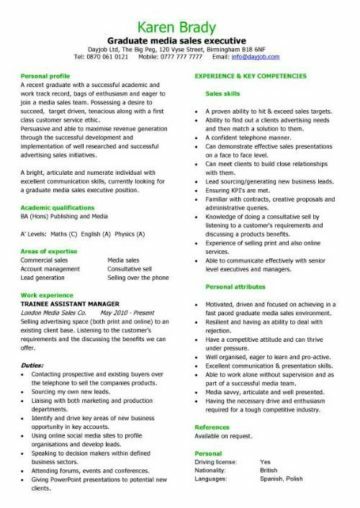 Entry level Executive Assistant resume – ideal for a student etc with no work experience. 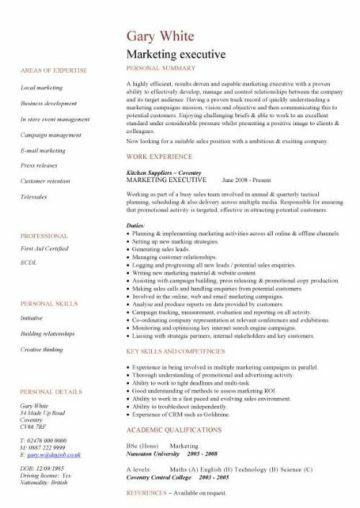 Entry level Account Executive resume – ideal for a student etc with no work experience. As a chief executive officer it is important that you stress points that will show off your core areas of knowledge and skills, as well as any relevant managerial experience. You should list your experience of dealing with directors and senior managers. You should also give details of any achievements that you have been involved in i.e. cost reduction, purchase of a competitor, increased sales etc. People management skills, supervising, staff training. Ability to develop cost effective solutions to problems. Project management and strategic planning. Financial management, company taxation issues. Carrying out risk assessments on projects and issues. Being able to manage and supervise junior and senior staff. Human resource management, recruitment and hiring. Your proven ability to successfully increase domestic or global sales. Your technical and business management qualifications. Providing the required direction and leadership for the organisation. Successfully implementing the strategies and objectives of the business. Supporting and advising directors and board members on related business issues. Overseeing product design, marketing and quality assurance. 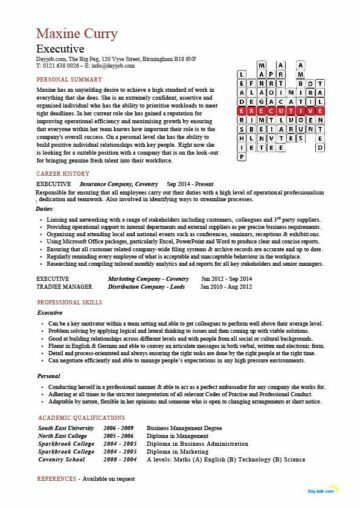 © These executive CV template examples are the copyright of Dayjob Ltd 2010. 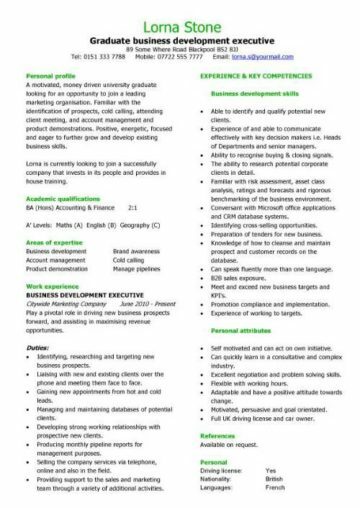 Job seekers may download and use these resumes for their own personal use to help them create their own CVs. You are most welcome to link to this page or any other page on our website. However these curriculum vitae’s must not be distributed or made available on other websites without our prior permission. 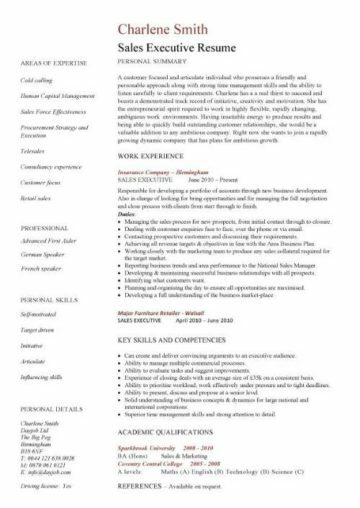 For any questions relating to the use of these CV templates please email: info@dayjob.com.